Michelle Straschnitzki and her husband have added their voices to those of other Broncos parents who want buses equipped with seat and shoulder belts. 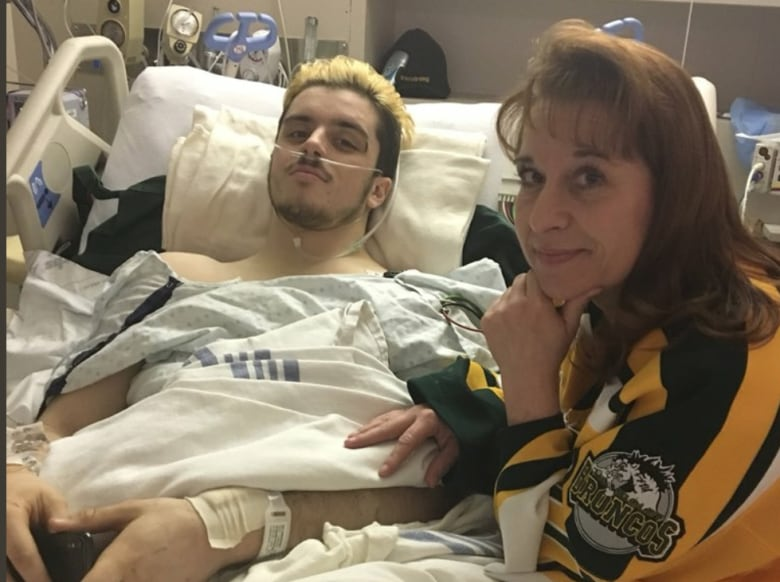 Michelle Straschnitzki had a moment of panic when her 16-year-old son Jett was preparing to board a team bus for a recent hockey game. "I didn't want him to get on the bus, but the part that choked me up was when I gave him a hug and said, 'Good luck. Have a great game.' Then I had a moment of panic," she said in a recent interview in the family's hometown of Airdrie, Alta. "My heart stopped. He was actually leaving and going on the bus." 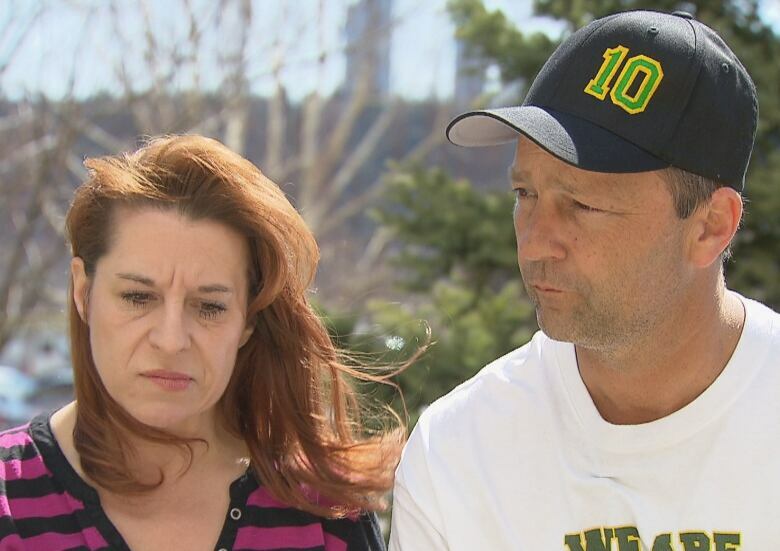 It was six months after her older son Ryan was seriously injured in a crash involving the Humboldt Broncos. 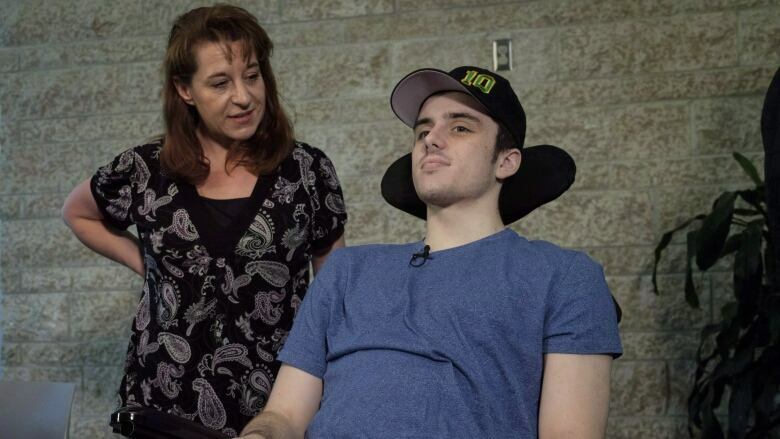 Ryan Straschnitzki, 19, was paralyzed from the chest down in the collision between his Saskatchewan junior hockey team's bus and a semi-trailer in April at a highway crossing in rural Saskatchewan. Sixteen people died and 13 others were injured. Straschnitzki and her husband have added their voices to those of other Broncos parents who want buses equipped with seat and shoulder belts. Tom Straschnitzki contacted the Airdrie Minor Hockey Association when he discovered buses carrying players, including his younger son, didn't have seatbelts because it isn't yet mandatory. He said the association immediately made changes to ensure buses with seatbelts are used. He said watching another of his children head off to a hockey game was harder on him and his wife than it was on their son. Jett turned down a request to be driven to his games, he said. "Jett goes, 'Well the accident was six months ago, dad," said Straschnitzki. "As soon as he got on there, he took a picture of his seatbelt and sent it to us. He said he wasn't taking it off until the bus stopped." Ryan Straschnitzki has continued his rehabilitation at a full-out pace. After a two-hour workout at a rehabilitation centre in Calgary, he said having his younger brother board a team bus for hockey brought back memories of the crash. "I think it should be enforced that you wear your seatbelts," he said. "If a bus doesn't have one, then I'm not sure it should be on the road." The injured player said he isn't sure seatbelts on the Humboldt bus would have made a difference, but it's worth having them, just in case. "If there's a one-in-a-million chance of this ever happening, just to be safe, I'd wear it," he said. "If a tragedy like this doesn't sink in, then we're not doing anything good." Transport Canada announced in June that the department will require all newly built highway buses to have seatbelts by September 2020. Some charter bus companies say many new buses already have seatbelts, although there is no way to ensure passengers are wearing them. The Straschnitzkis are hoping that bus companies and sports teams will do the right thing by providing transportation with seatbelts. "It's a movement we're trying to start with the Buckle Up For the Broncos (campaign.) I think it's something that's going to resonate with people," said Michelle Straschnitzki. "Don't wait two years," added her husband. "The bus companies that are thinking ahead and getting this done, those are the ones you should use."